The GlazeGuard® System is a tough polyurethane based clear sealer specifically developed to bond to ceramic and porcelain tile. GlazeGuard® will provide a hard wearing natural or wet look barrier across the tile and grout and make it much easier to clean. Developed specifically to seal ceramic and porcelain tile and grout. 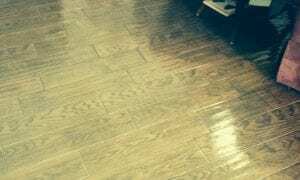 Provides tough gloss wet-look or natural look across the tile floor to protect and beautify. Slip resistant options inside and outside the property. When Should You Use GlazeGuard® Ceramic and Porcelain Tile Sealer Products? There are specific areas where you should use a ceramic and porcelain tile sealer. On the industrial and commercial side, you’re going to have gas stations, you’re going to have a commercial kitchens, automotive areas, showrooms, and the restrooms in those facilities, including the exterior. On the consumer or residential side, in the hallways and the kitchens and the bathrooms. These are all areas where you’re looking for a tile sealer that will make the floor much easier to maintain and to clean and also be resistant to chemicals. Two things that may soil the tile are urine or other organic matter or even something that will hold up to aggressive cleaning chemicals. This is where a two-part product, like GlazeGuard® Ceramic and Porcelain tile sealer really produces results because it’s a very tough, hard wearing sealer, and it puts a barrier across the tile and the grout, and makes the entire floor much easier to clean and maintain. What is GlazeGuard® Gloss Finish Ceramic and Porcelain Tile Sealer? Our GlazeGuard® Gloss sealer is developed specifically for ceramic and porcelain tile. 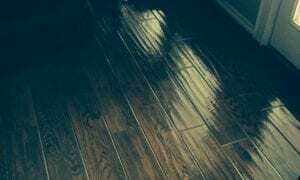 It will put a clear sealer across the floor tile and grout, giving it a wet look appearance, as well as provide a barrier that will protect against chemicals and soiling and make the floor much easier to clean. What is GlazeGuard® Matte Finish Ceramic and Porcelain Tile Sealer? Our GlazeGuard® Matte finish was designed to bond specifically to ceramic and porcelain tile and it will deliver a natural low-sheen look to the tile, but provide a barrier across the floor, the tiles and the grout. It’s very chemical resistant, very water resistant and makes the tile much easier to keep clean. What is GlazeGuard® Satin Ceramic and Porcelain Tile Sealer? GlazeGuard® Satin finish was designed to specifically bond to ceramic and porcelain tile. 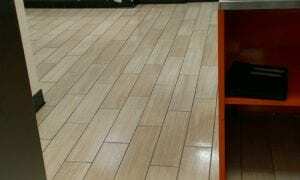 It puts a nice medium sheen across the tile and the grout, and a protective barrier that will resist against water, resist against chemicals, and make the floor much easier to keep clean. Do you need to seal Ceramic and Porcelain Tile? Yes. It’s important to seal the grout on a porcelain or ceramic tile floor. The grout is very porous, it can soak in dirt and chemicals and lead to a lot of odor coming up from that ground. 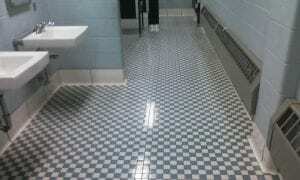 Is it important to seal tile grout? You definitely want to seal the grout. And if you can seal the grout and the tile at the same time, you’ll create a floor that’s much easier to keep clean. You should seal the grout a couple of days after it has dried, just to make sure that any moisture or any shrinkage that may be going on with the ground is completed, before you seal it.